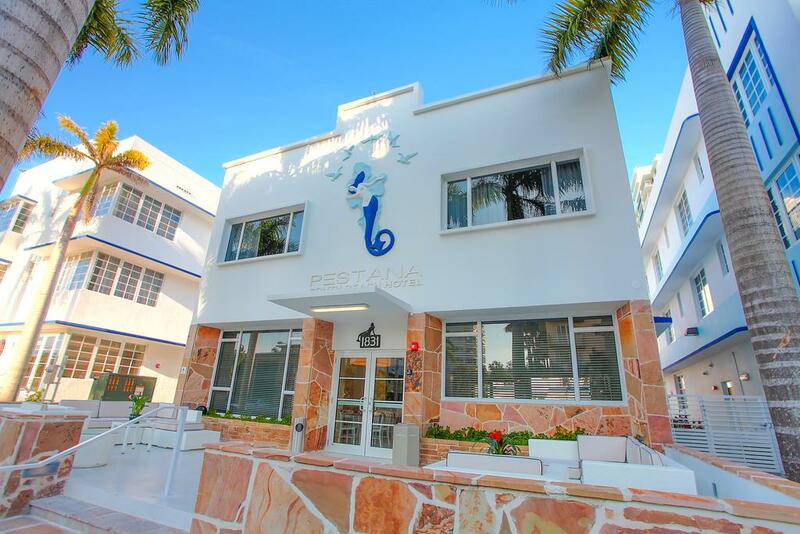 Visit the Pestana South Beach, an Art Deco Boutique Hotel in Miami, made up of 4 buildings with white and blue facades in the middle of Miami Beach. It is just 5 minutes from the waters of South Beach and only 9 minutes on foot from Lincoln Road, a truly open-air shopping centre. Here, you can immerse yourself in the most sophisticated side of architecture, culture and urban events, along with typical American beach culture. Close by, you can visit the Miami Beach Convention Center and the Miami Beach Golf Club.